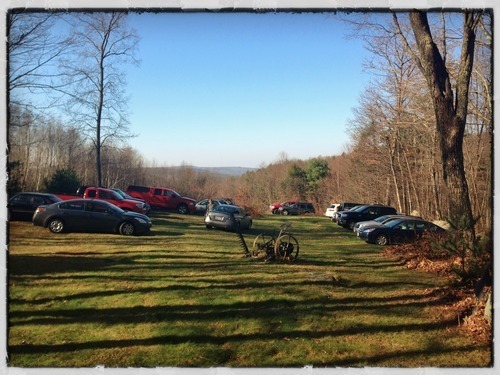 Notes from the Retail Shop, 11.17.12 — Tree House Brewing Co.
Can we start by saying how awesome everyone was about parking? Road-side parking had become an issue and we asked that folks pull into the field and it worked flawlessly, with your help. So, thank you! So, in short, WOW. 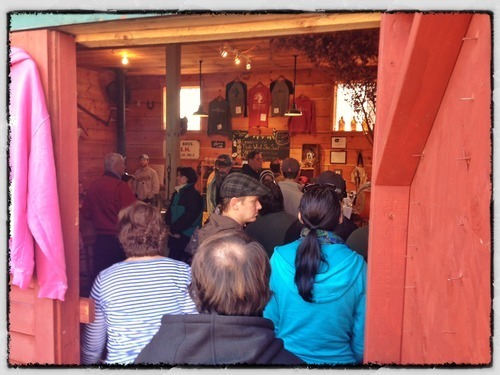 150+ bottle fills and nearly 2bbls of Tree House gone with tastings… And immensely patient customers. An awesome Saturday, and one to remember for sure! The wait for beer was long and we understand the frustrations that can arise with such a long wait. We can’t thank you enough for your continued patience. We are making refinements to our filling and queuing process every week to help speed things up. The card system this week seemed to work well, and we’ll have new cards next week to address what we learned this week. Also, we ordered two new small kegerators to fill tasting flights only taking the pressure off of our lovely bottle filling women. Ultimately, we think the waits will be addressed greatly when our new brew house comes in and we can expand our hours and guarantee beer throughout the day. Someone let your humble brewer know how “Green” tastes poured fresh from the growler. He wanted a bottle to pour for Thanksgiving but was preoccupied telling Dean to stop trying to be funny with his “No” sign. Happy Thanksgiving, everyone. Hope you have a safe and wonderful day! You know where to find us, next Saturday at 11 AM, with “Julius” leading another party of four.